This year at Comic Con, fans were treated to the debut of two The Walking Dead related trailers. One for the record-breaking show’s sixth season, the other for the show’s spin-off Fear The Walking Dead. In the trailer for The Walking Dead‘s sixth season, Alexandria is feeling the pressure both inside and outside of its gates. 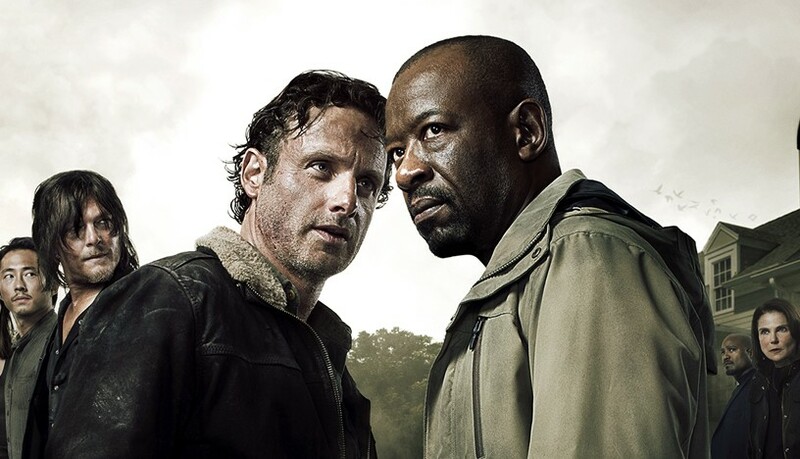 Rick and Morgan are poised for a conflict. The walkers are amassing at the gates. And Rick’s crew appears to be splintering. But when it comes down to man versus walker, where will the chips fall? And if that wasn’t enough, Daryl has been kidnapped by some real touched individuals. It appears he is starring in his own personal horror film in the woods. Looks like the slow pace of this show is about to be kicked into overdrive. On the other side of the country, Fear The Walking Dead chronicles the beginning of the outbreak when the first walkers appeared. We are given access to this world through one blended L.A.-based family. While the rumors are easy to dismiss at first, things come crashing down rather quickly, and in the face of a radically changing world, this family will have to find each other and somehow survive. This premise may sound a little two heartwarming or lightweight judging by the world it is being pulled from, but one look at the show’s trailer, and you’ll see that the stakes and challenges are just as fierce as they’ve always been.